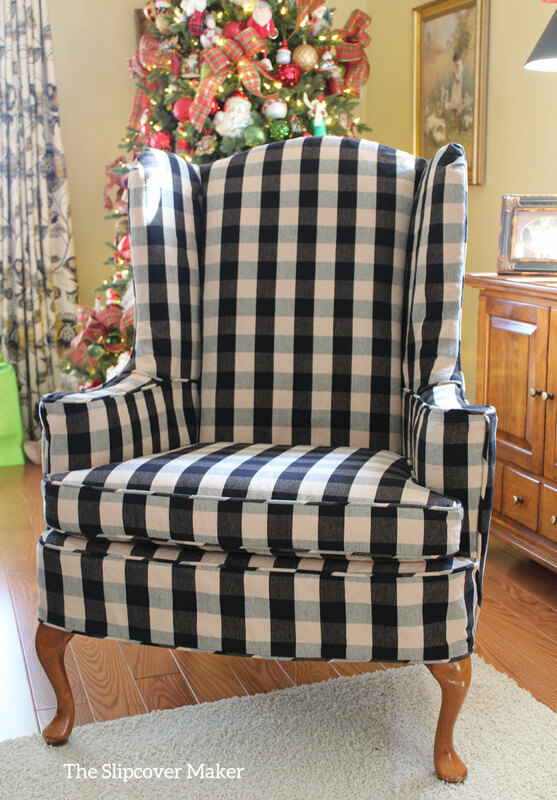 Judy’s buffalo check slipcover and wing back chair are a match made in home decor heaven! Fabric: Lyme Buffalo Check in color Black/Natural from Roth & Thompkins. A washable, medium weight cotton that works well for slipcovers that get moderate use. 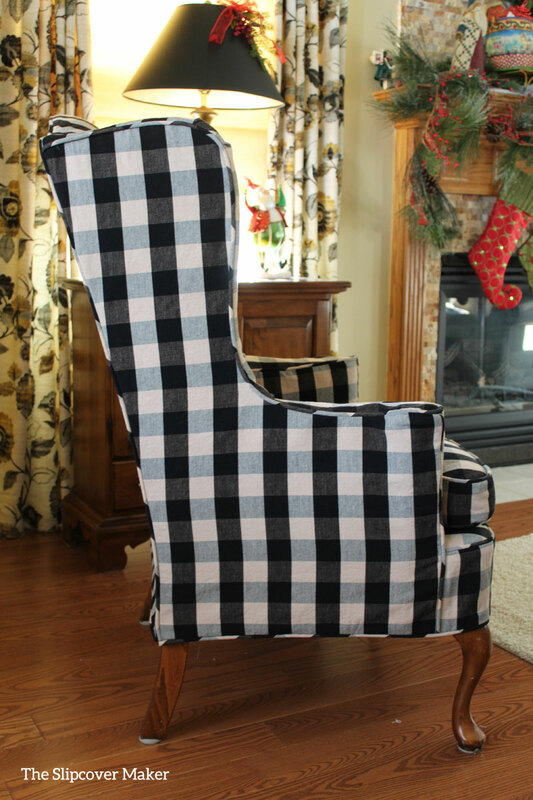 For more buffalo check slipcover inspiration check out this English rolled arm chair in Black/White. 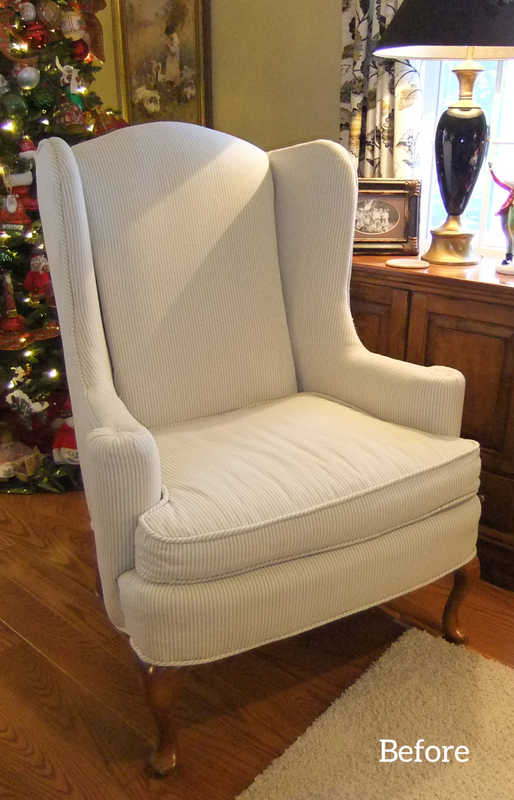 This entry was posted in armchair slipcovers, slipcover fabrics and tagged wingback slipcover on December 17, 2017 by slipcovermaker.